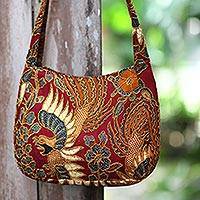 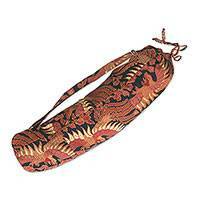 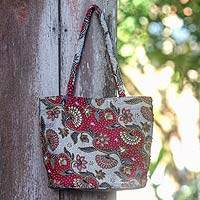 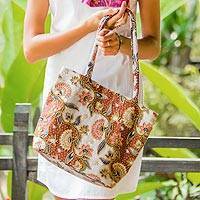 The kembang kapas or cotton flower decorates this beautiful shoulder bag from Bali's Wahyu Sulistiani. 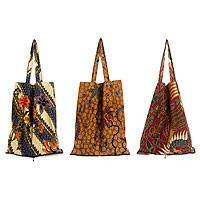 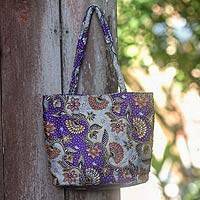 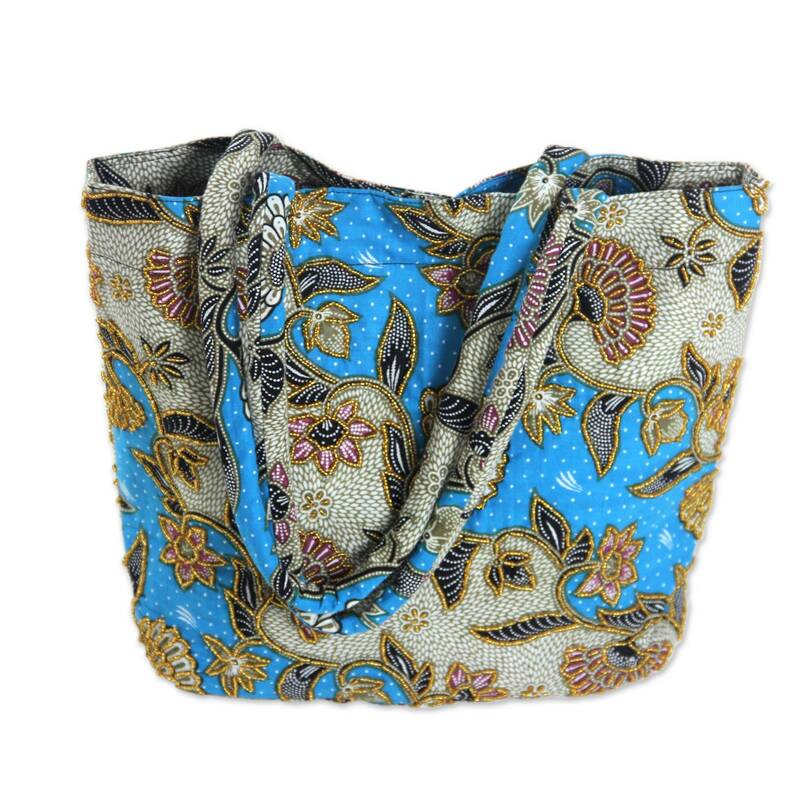 The bag is hand-stamped with the traditional batik pattern in shades of blue, pink, olive green, black, and white, and is further embellished with tiny golden beads. 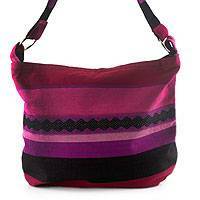 The fully-lined black cotton interior features a zipper pocket and a magnetic snap closure.